Gloria Jean Cottam, beloved daughter of Reuben Cottam and Thelma Stevensen Cottam died May 26, 2016 in Bergen, Norway where she was visiting family. Gloria was born January 4, 1945 in Salt Lake City, Utah. She was well educated, having graduated from Olympus High School (1963). 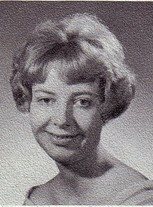 She graduated with a Bachelor's degree in Elementary Education from the University of Utah (1968). She also received three Master's Degrees in Business and Human Resources, Special Education and Industrial Relations. She worked in education, business and government during her life. She is preceded in death by her parents and four younger siblings, all of whom died as infants. Gloria was a faithful member of the Church of Jesus Christ of Latter-day Saints and served a mission in Sweden. She was proud of her Norwegian and English heritage and was in the middle of a tour of ancestral sites when she died. She loved gardening and had a beautiful yard at her home in Holladay, Utah. Graveside services will be held at 10:00 a.m. Thursday, July 7th, 2016 at Wasatch Lawn Memorial Park. 3401 So. Highland Drive, Salt Lake City, Utah.